The Department of Juvenile Justice Board consists of fifteen members, each appointed by the Governor. 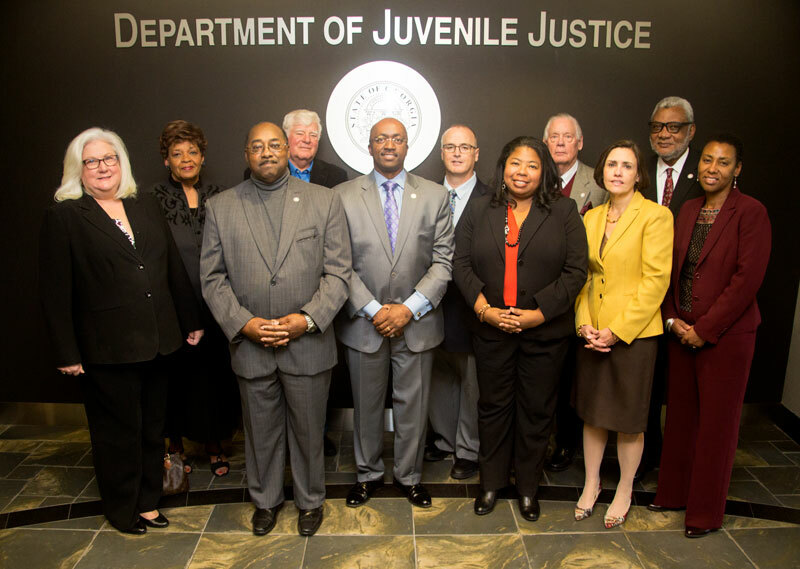 The Board of Juvenile Justice (pursuant to Title 49-4A-2, Official Code of Georgia) establishes the general policy to be followed by the Department of Juvenile Justice.The objective of the Board is to provide leadership in developing programs to successfully rehabilitate juvenile delinquents and unruly children committed to the states custody and to provide guidance to the Commissioner. The Board is a combination of professionals, attorneys, law enforcement, public servants and others interested in improving the juvenile justice system in Georgia. The board consists of at least one member but not more than two members from each congressional district in the state, appointed by the Governor and confirmed by the Senate. Following the initial staggering of board terms, each succeeding appointment is for five years. A three member non-voting judicial advisory council is appointed by the Governor and consists of three juvenile court judges providing the board with a judicial perspective on board issues. By law, the Department of Juvenile Justice is designated a special school district. Therefore, Board members also serve as school board members. The objective of the Board is to meet the requirements of the law for public schools and rules and regulations of the State Board of Education. The Board must establish educational services and programs in the special school district so that all youth are served the same quality and content of education within the state. The Board meets the 4th Thursday of each month unless otherwise noted. All meetings are open to the public and their locations are posted on the Departments website. Meetings are usually held at DJJs Central Office and begin at 10 a.m. unlesss otherwise noted. Chairman Snow retired as Chief of the Rome Police Department after 41 years of service. She is a member of the Georgia Crime Information Center advisory board and the Greater Rome Convention & Visitors Bureau board. Snow is a member of the Rome-Floyd County Commission on Children & Youth, the Rome-Floyd Community of Hope Task Team and the Martin Luther King, Jr. Memorial Committee. She is a graduate of the Georgia International Law Enforcement Exchange, the Georgia Law Enforcement Command College and the FBI National Academy. Snow earned a bachelor’s degree from Jacksonville State University and a master’s degree from Columbus State University. She and her husband, Tommy, have two children and five grandchildren. They live in Rome. is currently a solo practitioner specializing in general law. In her practice, she has represented corporate clients in products liability matters. She also represented the Georgia Department of Family and Children Services as Special Assistant Attorney General and represented indigent criminal clients in Troup County Courts on County appointed contract and general litigation. Taylor previously served as Partner in the law firm of Daniel, Hadden & Meadors, P.C. Taylor holds an undergraduate degree from Emory University and a Juris Doctorate from Mercer University, Walter F. George School of Law. She is active in various political and civic organizations. Mr. Kennedy has served as the Court Administrator of the Chatham County Juvenile Court in Savannah, Georgia since September 2011 and he has been a dedicated servant to the DJJ for more than twenty-seven-years. Formerly Regional Administrator over 44 counties in the DJJ Southeast Region for the Georgia Department of Juvenile Justice, he was responsible for all DJJ community programs as well as DJJ detention programs in the region. He has twice been recognized for his leadership as a former District Director winning the Vanguard Award as well as being a recipient of the prestigious Harold K. Ables Award for his “outstanding service in the field of Juvenile Justice.” Board Member Kennedy, a native of Evans County and former Chairman of the Evans County Board of Education, holds a Bachelor of Arts in Sociology from Mercer University with a minor in Criminal Justice. is a retired U.S. Army Lieutenant Colonel from Vienna in Dooly County, Georgia appointed to the At-Large Board position. Lt. Colonel Ambrose’s distinguished military career spans twenty years with the U.S. Army where he served overseas in Germany and did two tours of duty in Vietnam. After retirement from the armed service, LTC Ambrose taught ROTC for thirteen years at Dooly County High School. His extensive military education includes the Army’s Airborne Ranger School, the armed forces staff college and the infantry officer’s basic and advanced courses. Mr. Ambrose was commissioned a second Lieutenant of Infantry when he graduated from the ROTC program at the University of Georgia with a Bachelor’s Degree in Business Administration. He also holds a Master’s Degree in Professional Studies from Western Kentucky University. Lisa Colbert is a juvenile court judge in Chatham County where she previously served as an assistant county attorney for Chatham County and a staff attorney to the Chatham County Superior Court. Judge Colbert sat on the board for the Savannah - Chatham County Court Appointed Special Advocates, Inc. and chaired the Savannah - Chatham Public School Systems Internal Audit Committee. She also served in the Georgia Air National Guard. Colbert holds a law degree from the University of Georgia and earned her bachelor’s degree from Savannah State University. She and her husband, Eldries “E.J.”, have three children and reside in Savannah. Coleman is a retired Air Force officer and Vietnam veteran with more than 25 years of military service. He served more than twelve years at the Department of Juvenile Justice as Chief Deputy Commissioner and Deputy Commissioner of Programs, Education and Youth Development Division. Coleman received a bachelor’s degree in Criminal Justice from Georgia State University, earned his master’s degree in Public Administration from Central Michigan University and a doctoral degree in Higher Education Administration from Clark Atlanta University. 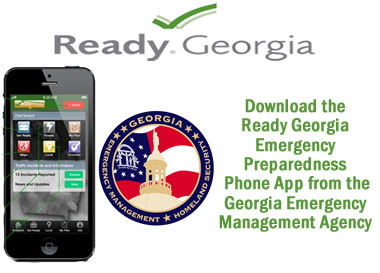 He is a former Director of the Governor’s Office of Highway Safety and a volunteer commissioner with the DeKalb County Housing Authority. Dr. Coleman and his wife Dr. Beverly Harris Coleman live in Lithonia. Julia Neighbors currently serves as the Director of Prevent Child Abuse Georgia. Previously, she was the project manager for JUSTGeorgia, a statewide juvenile justice coalition involved in the recent re-write of Georgia’s Juvenile Code and the promotion of healthier, safer communities and better outcomes for our children and youth. As a former senior attorney with the Fulton County Office of the Child Attorney, Julia Neighbors brings additional child advocate experience to the DJJ Board. She also previously held the position of Executive Director of Fulton County Court Appointed Special Advocates, Inc. Ms. Neighbors currently serves on the board of directors for Georgia CASA, the Council of Intown Neighborhood Schools and the Historic District Development Corp. She holds a Law Degree from Emory University and a Bachelor’s Degree in English from	the University of Michigan. Neighbors and her husband, Ken, live in Atlanta with their two sons, Kenneth and Kaden. Stewart is a former vice president of human resources for the Lucas Group. She previously held a seat on the Johns Creek City Council and also served as Mayor Pro Tem. Stewart sits on the boards of directors for Israel Bonds and Friends of the Israel Defense Forces. She is a member of the Georgia leadership councils for Birthright Israel and Christians United for Israel. Stewart earned an associate’s degree from Gainesville State University, a bachelor’s degree in Public Administration from Brenau University and a master’s degree in City Planning from Georgia Tech. Board Member Stewart is a recorded pianist, singer and song writer. She and her husband, Tom, live in Johns Creek. Penny Penn has been the District Attorney for the Bell-Forsyth Judicial Circuit since January 2003 where she is an elected constitutional officer charged with the prosecution of felony offenses committed in Forsyth County. Prior to her election, Penn served as the Chief Assistant District Attorney for the Bell-Forsyth Judicial Circuit from November 1988 until January 2003 and has argued cases before the Georgia Supreme Court and Court of Appeals. Penn’s previous experience includes the Fulton County District Attorney’s Office and the Fulton County Public Defender’s Office. She earned a bachelor’s degree from Wheaton College in Massachusetts and a juris doctor degree from the Emory University School of Law. Holt is director of the Office of Professional Standards at the Georgia Department of Public Safety. Her distinguished law enforcement career spans more than 30 years with professional contributions to five Georgia criminal justice agencies including the Georgia Bureau of Investigation (GBI), Georgia State Patrol, the Department of Family and Children’s Services, as a consultant for the State Board of Pardons and Paroles and for Georgia’s Criminal Justice Coordinating Council. Holt’s GBI assignments as Special Agent included investigating public corruption crimes with a Special Prosecutions Task Force. As GBI Assistant Special Agent in Charge she developed law enforcement training protocols for officers assigned to the 1996 Olympic Games. Holt is currently president of the Georgia Internal Affairs Investigators Association and sits on the board of trustees for the International Association of Women Police. She earned a bachelor’s degree in Criminal Justice and master’s degree in Public Administration from Georgia Southern University. Holt and her husband, Charles, have one child and reside in Warner Robins. is currently the Assistant Chief of Police of Field Operations for the Athens-Clarke County Police Department. Chief Stephens is a former GBI agent with 31 years of service before his retirement in 2012. A graduate of the FBI national Academy, the Georgia Association of Chiefs of Police Command College, and the Georgia International Law Enforcement Exchange, Chief Stephens earned his Bachelor`s Degree from Newberry College and a Master`s Degree in Public Administration from Columbus State University. He and his wife, Laura, have children and reside in White County, Georgia. Mr. Bolton was the Director and Warden of the Athens-Clarke County Department of Corrections for 20 years before his recent retirement. He was with the Athens-Clarke County Government for 41 years, including 21 years with the Clarke County Sheriff’s Office. He serves on the Athens Regional Medical Center Hospital Authority, Georgia Public Safety Training Center Advisory Board, and the Athens Rotary Club. He is a member of the Georgia Association of Chiefs of Police, the National Association of Chiefs of Police, the Georgia Prison Wardens Association, American Correctional Association, North American Association of Wardens and Superintendents and Peace Officers Association of Georgia. He is a POST General, Firearms Instructor and Departmental Training Officer. He also has an Executive and Management POST certification and a Peace Officer and Correctional Officer certification. Bolton earned a bachelor`s degree from Brenau University and a master`s degree from Clark Atlanta University. He and his wife have two children and two grandchildren. They reside in Athens. Yarbrough is a veteran writer and syndicated Georgia columnist whose work is published regularly and read widely in newspapers and magazines throughout the state. He was a vice president of the BellSouth Corporation before his retirement. As managing director of communications for the Atlanta Committee for the Olympic Games, his work was instrumental in the successful execution of the Centennial Olympic Games. Yarbrough is a graduate of the University of Georgia and a past president of the UGA Alumni Association. He and his wife, Jane, have two children, three grandchildren and one great-grandson. They reside in Atlanta. is a former GBI Agent who retired as Special Agent in Charge with the Georgia Bureau of Investigation after 30 years of service. Edwards currently serves as Chief Deputy with the Evans County Sheriff`s Office, working as project manager in a law enforcement research collaboration with Georgia Southern University and the Bureau of Justice Assistance`s "Smart Policing Project". Chief Edwards also serves on the Executive Board of the Peace Officers Association of Georgia. He is an author and former adjunct at the Georgia Law Enforcement Command College. Mr. Edwards represents the DJJ Board`s 12th Congressional District. This veteran peace office is a resident of Claxton, Georgia where he lives with his wife Anita and their two college-age sons. John is a member of the First Methodist Church of Claxton and is active with the Evans County Family Connections youth and outreach programs. James Valbrun is the founding attorney of the Valbrun Law Group, LLC. Prior to starting his own Atlanta law firm, Valbrun practiced with Wotorson, Thompson & Valbrun from 2009 to 2013. He was an associate at Nelson Mullins from 2006 to 2008. Professionally, Mr. Valbrun has been honored as a Georgia Super Lawyers Rising Star. He has found recognition in Atlanta's Business Who's Who, as well as Who's Who in Black Atlanta. The solo practitioner earned his Bachelor’s Degree from the University of Michigan and he holds a Law Degree from Georgetown University. He and his wife, Tanika, have one son. They reside in Lithia Springs. The Honorable Quintress Gilbert is a Juvenile Court Judge in Bibb County and received her law degree from Washburn University School of Law in Topeka, Kansas. She has served in various judicial roles including Assistant U.S. Attorney with the Department of Justice for the Middle District of Georgia. Judge Gilbert is a member of many committees, bar, and professional associations and was elected district representative to the Georgia Council of Juvenile Court Judges while serving as a full time juvenile court judge for the Macon Judicial Circuit and assistant professor at Georgia Military College. The Honorable Steven C. Teske is a judge of the Juvenile Court of Clayton County, where he has served since 1999. Teske earned a bachelors degree, masters degree and law degree from Georgia State University. He has served as deputy director of field services of the Georgia State Board of Pardons and Paroles. He was a partner in the law firm of Boswell Teske, where he served as Special Assistant Attorney General. He is on the executive board of the Georgia Council of Juvenile Court Judges as vice president and on the Georgia Children and Youth Coordinating Council as vice chairman. He serves the community in numerous other capacities including serving on the board of trustees of the Securus House for Battered Women. He and his wife, Deborah, have three children.